SPICY There are 13 products. Spicy fragrances are based on intense scents such as musk, vanilla, exotic resins and wood. These blend with exotic spices originating from the Far Orient to form seductive, sensual and voluptuous compositions. Their heavy, warm and distinct character makes them ideal for evening use. Their rich combination of base notes makes spicy scents linger long on the skin. 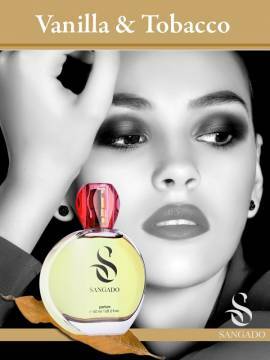 Below is our list of recommended SANGADO spicy fragrances. Our products have 12-hour staying power due to the premium essential oils, utilized in a high concentration. 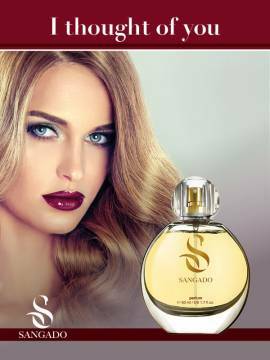 SANGADO perfumes are brought to you at cheap, discounted prices directly from the source. Passionate and larger than life, the vision of this fragrance reveals the image of a white angel, who sometimes appears in dreams. Welcome to the zone of sensuality, passion and seduction.This fragrance is based on fine French essences and can be felt on the skin for long hours. 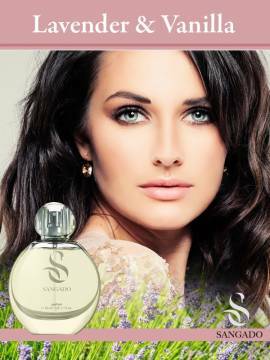 A warm and captivating fragrance, which expresses the quintessence of modern femininity. It is strong, enticing and sensual. Described as totally addictive by both women and men. The combination of vanilla and chesnut is balanced with subtle woody and floral notes. This extraordinary creation combines the clean and sweet ingredients with dark luxurious accords, resulting in an enchanting and alluring fragrance. Stunningly delightful for those within its ambience. A luxurious, mysterious and seductive oriental fragrance. A scent, which is rich, nuanced, warm and sweetish. Very concentrated and long lasting. This fragrance is devoted to the mysterious and thrilling woman, a little bit of witch, who is amazing, exuberant, and does not belong to this world. "Supernatural" is based on concentrated fine essences and lasts for long hours. A dark, glamorous composition impregnated with a sweet vanilla note. The result is an absolute irresistible combination. This is an ultra-feminine, vibrant and sensual signature fragrance.